Welcome to episode number two: Paper Crafting: Finding Your Happy Place with Jaclyn Gyesie. After publishing my first episode, Jaclyn got in touch with me on Instagram and shared her story of finding her passion. I knew I wanted you to hear it too, so fearfully I asked her to be on the show. Having her share her own struggle in making time for the woman beneath mom made me know this is right where God wants me. If her story inspires you as well, make sure to comment below and share her message with your friends too! First, Jaclyn is an amazing mom and one who has truly found her happy place. She works full time as an IT Procurement Specialist at U.S. Postal Service Office of Inspector General. At the end of the day, she wraps her arms around her two sons and husband of thirteen years. 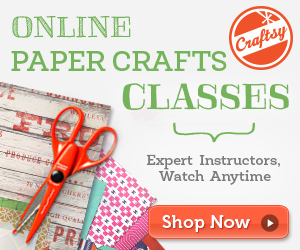 She pursues her passion in the paper crafting world and even started her own small business. Jaclyn loves watching her kids play soccer and creating beautiful works of art with the Silhouette Cameo (don’t worry we will go over this later). Jaclyn remembers her mom always making things—from pasting flowers on hats to making their own Halloween costumes. She herself loved art class and beading jewelry. But, after she graduated college, welcomed married life and mom life, her creative outlet dropped off. In the midst of coming home from work and taking care of her family, she asked herself a question some of you might be wondering—what am I missing? She found the answer in her blessed four-month opportunity as a stay-at-home mom. While she made her gorgeous (me talking, Jaclyn is very humble while talking about her creations) Christmas and birthday cards, her friends would ask her why she didn’t create these more often. Nine years ago, her passion started brewing in the paper crafting world. When her best friend asked her to make wedding invites the question she had been asking finally hit her. She started picking up rubber stamps and paper obsessions. When one of the kids had a birthday party to attend to she would personally create a birthday card. She loves the special touch a handmade card brings. Have you ever been a night owl? Jaclyn creates her paper crafts after she tucks in her two sons, 7 and 10. Not every night, but most nights. Here’s how she puts it when you have a passion for something you have to pursue it. Perfection, like most of us, is marked on her battle list. She admits that as a mom, it’s difficult to do something and know it’s not going to be perfect. As she words it, for some moms this is their happy place, but for others, if they have a spark for something they should pursue it. Many of us get tangled in the battle of comparison, especially on social media—she has the perfect career, look at her clean kids, wow she takes beautiful pictures. As both of us agree, you can’t always have the perfect house and the mess is far better to deal with while wrapping your arms around the sweet spot of your passion. Imperfection is reality, she confesses. Ladies, get this, you don’t have to have a crafty bone in your body to start. Just do it! All you need is some paper, scissors, and glue. We all see big time paper crafters on Instagram, but remember perfection can’t be achieved when we first try something. Perfection in not a reality. Jaclyn suggests checking out crafting tutorials, or craft lessons at your local craft store. 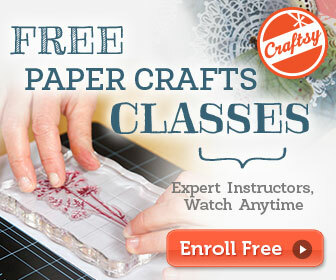 Depending on where you live Paper Source has a card making class. Check out their Holiday Card Making Craft Social! Or, check at Michael’s paper craft project ideas. If you’re interested in going a little further. Check out the Silhouette Cameo. Okay, maybe you’re like me and Jaclyn and can’t even cut a circle. If you have the extra money and want to invest in a paper machine that makes your heart beat louder, it’s around $300. The Silhouette Cameo is a DIY cutting machine that cuts vinyl, fabric, paper, and more! She also suggested checking out the Cricut Cuddlebug! The Cricut Cuddlebug can cut or emboss paper, card stock, and even thin metals. It’s a lower cost of $47.49 on Amazon as of today. 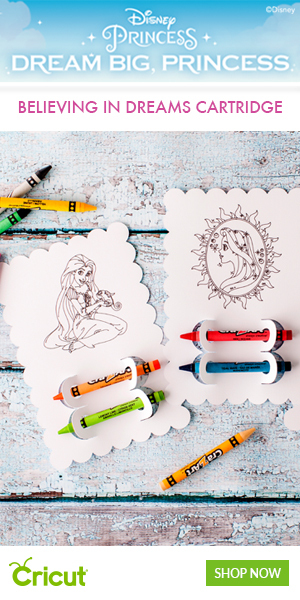 Want to know more about the Cricut? I use the Cricut Explore Air and love it, check out my complete beginner’s guide to the Cricut Explore Air. 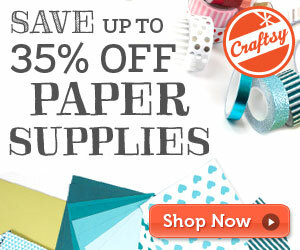 But, remember you don’t need this to have a passion for paper crafting! Thank you for stopping by, enjoy the show! May your day be filled with giggles, paper scraps that make your heart beat louder, and a little bit of sunshine. For we never know what goodness the day can bring until we fully love who we are. Once you listen, feel free to leave a comment/suggestion/question below. Are you a momma that has a passion for something and want to share with us? Email me at passionbrewingmomma@gmail.com. I’d love to connect and hear your story! Did you miss my first episode? Check out my first podcast here!